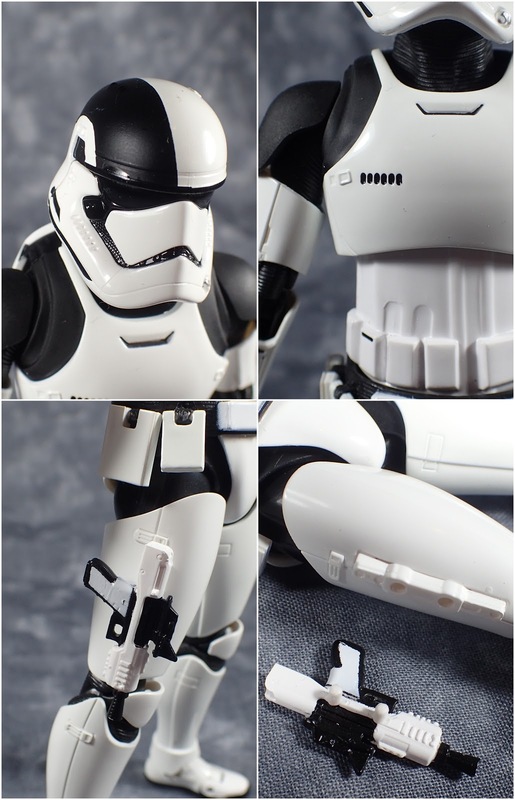 While in Japan I took the opportunity to get a more articulated Storm Trooper figure. I decided to get this version as he was recently released so easy to find at a good price at a number of stores but also because I liked the black section on his helmet. Not much to say about the sculpt it is a Storm Trooper they are mostly all the same however I do like the black shoulder guards and on the helmet. But he has got some neat design to keep him very well articulated. He has hinges and a ball socket on his shoulder pads to free up his shoulders and belt pouches are on hinges so that they don't hinder his leg movement. He has toe hinges and the standard double jointed knees and elbows that S. H. Figuarts is known for. I like his details and paint application and there are only two small smudges of black but they aren't in highly visible places so that's okay. I like how he has a special blaster just to get the blaster on leg look. Unlike the Black Series Storm Trooper he comes with a number of hands. A pair for holding items, a pair of fists, a pair of trigger finger hands, and a pair of hands for supporting his blasters. For accessories he also come with more having the long staff thing with both a closed and open end. 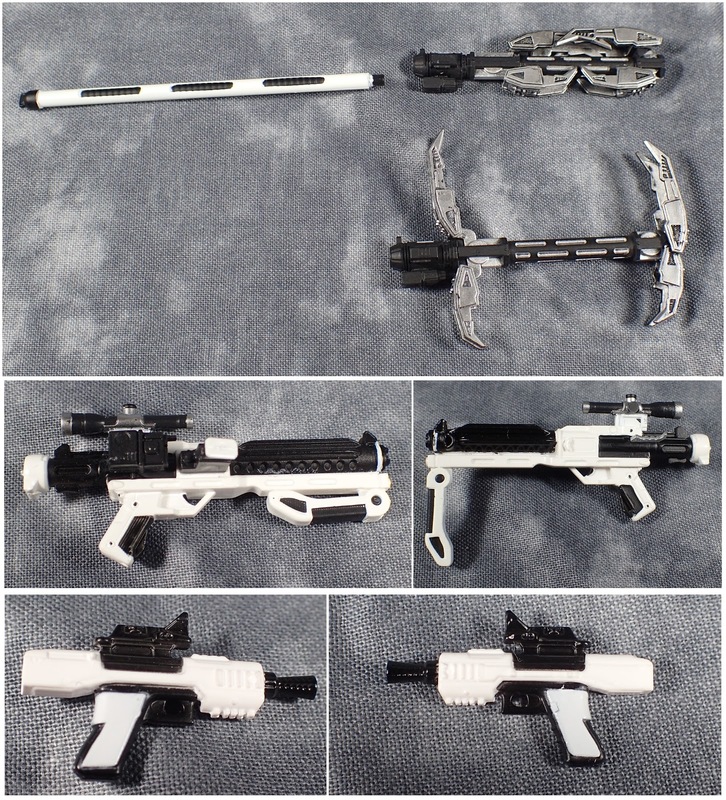 Two blasters and the larger one has a hinged piece for more stability when fighting. 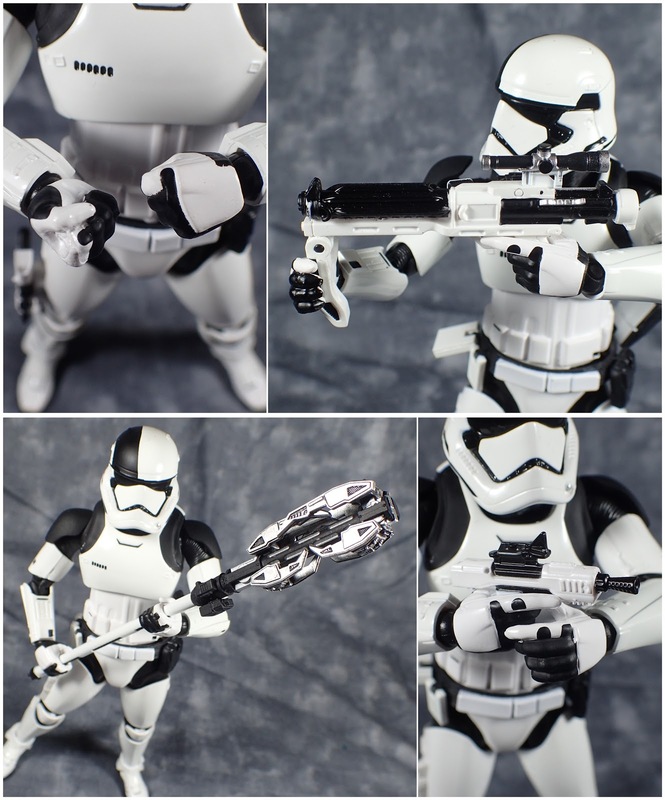 I think the S. H. Figuarts Storm Troopers are definitely the ones to get if you collect 1/12 scale figures as they work well alongside figma.